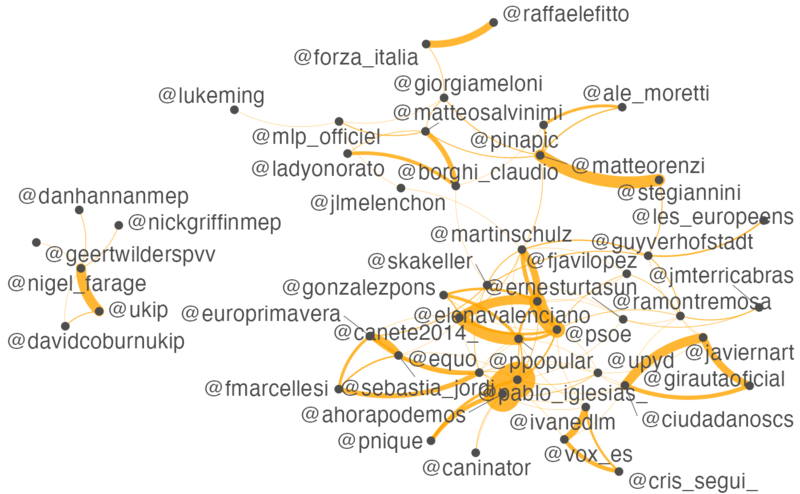 Using quanteda’s fcm() and textplot_network(), you can perform visual analysis of social media posts in terms of co-occurrences of hashtags or usernames in a few steps. The dataset for this example contains only 10,000 Twitter posts, but you can easily analyze more than one million posts on your laptop computer. ## Document-feature matrix of: 6 documents, 42,327 features (100.0% sparse). 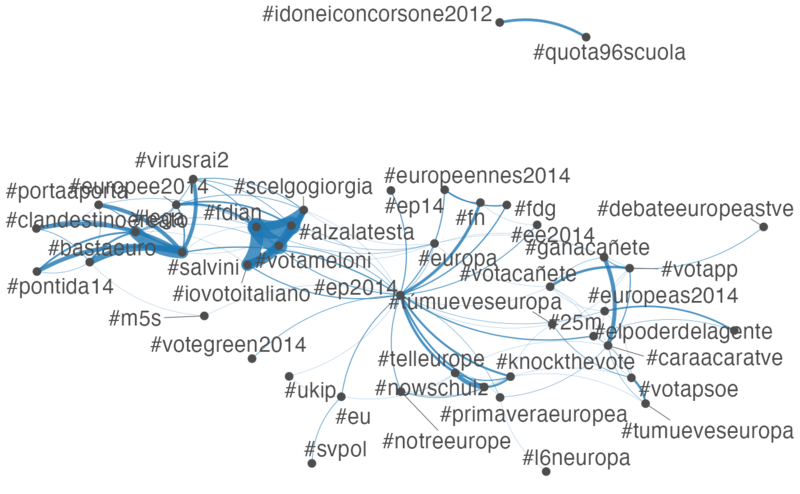 ##  "#ep2014"       "#salvini"      "#fdian"        "#ukip"
## Feature co-occurrence matrix of: 6 by 6 features. ## 6 x 6 sparse Matrix of class "fcm"